Fake news or real drama? Report claims Trump administration officials pushing Kushner to step aside as White House aide. 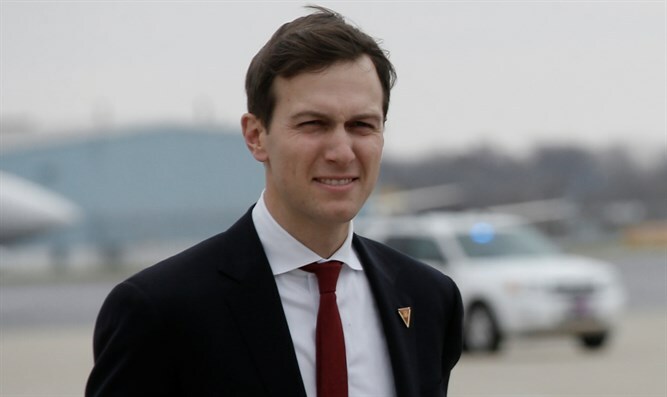 JTA - Jared Kushner reportedly has been encouraged to take a leave of absence from his White House adviser position because of FBI scrutiny of his contacts with Russia. Administration officials close to President Donald Trump have been pushing Kushner to step aside while the FBI investigates meetings that Kushner he had with Russian figures during the transition period following the November election, The Hill reported. Kushner is Trump’s Orthodox Jewish son-in-law. The news website Politico called Kushner the White House’s ”lead distraction” following what is being seen as Trump’s mostly successful first foreign trip, which featured a stopover in Israel. Kushner reportedly flew home Thursday from Rome with his wife, Ivanka Trump, and arrived in his West Wing office on Friday to meet with White House Chief of Staff Reince Priebus to discuss the presidential trip. Though under scrutiny by the FBI, Kushner has yet to be accused of unlawful behavior, and he has offered to share any information about meetings with Russian officials. The Washington Post and NBC each reported late Thursday that Kushner’s interactions with Russian figures were of interest to the FBI, but that this did not mean he was a target of the investigation. Kushner, is one of Trump’s closest advisers. He met separately last December — after the election but before Trump assumed office — with Sergey Kislyak, the Russian ambassador to Washington, and Sergey Gorkov, the head of the government-owned Vnesheconombank, which has been subject to U.S. sanctions because of its role in Russia’s occupation of a part of Ukraine.